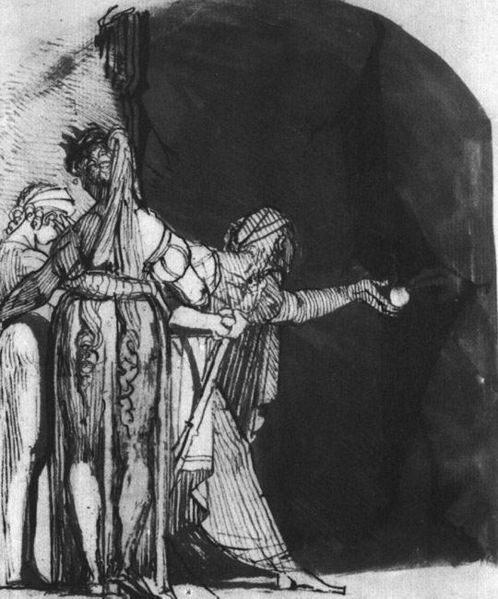 The Graeae are a trio of sisters in Greek mythology, and indeed are one of the most famous triumvirates, alongside the likes of the Gorgons, to appear in the tales of Ancient Greece. The fame of the Graeae though, comes primarily for the fact that they appear in the adventures of the legendary hero Perseus. The Graeae were the daughters of the sea deities Phorcys and Ceto, making them sisters to other characters associated with the sea, including the Gorgons, Scylla and Thoosa. It was common to refer to the Graeae as the Phorcides, daughters of Phorcys. It is common to suggest that there were three Graeae, and this is the number spoken of the Bibliotheca (Pseudo-Apollodorus), though it has to be said that Hesiod (Theogony) and Ovid (Metamorphoses), speak of only two Graeae. Where three Graeae are named it is common to find them referred to as Deino, meaning “terrible”, Enyo, “warlike”, and Pemphredo “she who guides the way”. Occasionally, Deino is replaced with a different named Graeae, Persis, meaning “destroyer”. Most commonly it was common to describe the Graeae as three old women, and indeed their collective name is normally translated as “the grey ones”. The Graeae were said to have been born grey, but their most obvious physical feature was that they had but one eye and one tooth between them, and the eye and tooth were thus passed around between the three. Aeschylus though did not describe the women simply as old women, but said that the Graeae had the bodies of beautiful swans. The Graeae were probably the personifications of the white foam of the sea, and indeed the children of Phorycs were the personifications of other elements of the dangers of the sea, for the Gorgons were symbols of underwater reefs. More importantly, in Greek mythology, the Graeae were keepers of a secret, the location of the caves of the Gorgons. It was a secret that the Greek hero Perseus needed to know, for Perseus had been given the quest of bring back the head of the Gorgon Medusa. Thus Perseus travelled to the home of the Graeae, a place some call the Island of Cisthene, but the Graeae would not willingly give away the location of their sisters. 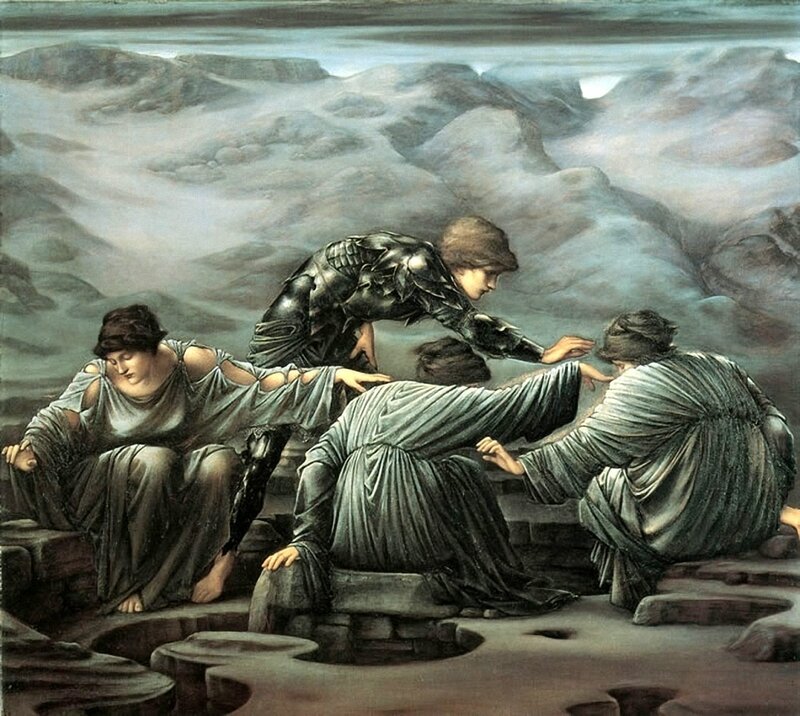 Thus, Perseus had to force the answer out of the Grey Sisters. This Perseus achieved, by intercepting the eye of the Graeae as it passed between the hands of the sisters. Fearful of becoming completely blind, the Graeae would eventually reveal the secret location of Medusa. It is common to believe that Perseus returned the eye to the Graeae after receiving the answer he was looking for, but in some alternative versions of the story, the Graeae became permanently blind, for Perseus threw the eye of the Graeae into Lake Tritonis. After the departure of Perseus, the Graeae do not appear again in any further surviving Greek myths, for subsequently, who else would seek out the two remaining Gorgons?